Balayage, a french technique that has been used in Europe for years, is a more organic looking approach to highlights. Kali uses balayage in a wide range, from a sun kissed look to an all over dimensional blonde. Whether you're looking for a beachy layered look or a structured bob Kali will deliver. Trained in the Toni and Guy methods of hair cutting Kali will give you a cut with a strong foundation that is fashion forward. Do you have a hair color disaster? Kali can help! Whether you made a mistake and used an at home coloring kit or received a substandard professional service, over a series of appointments Kali can have you looking your best. 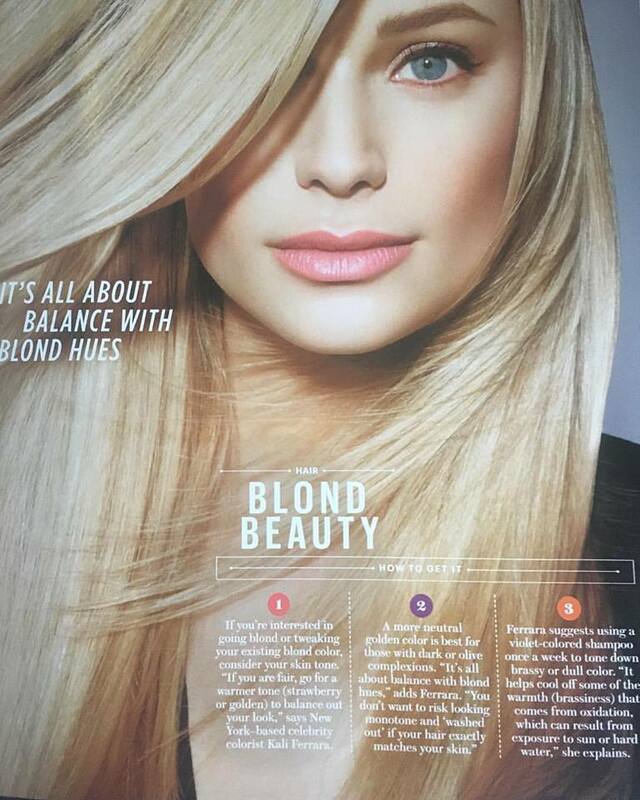 Have you always wanted to be a blonde? Kali can help! With a specialty in blonde hues Kali can make many people blonder than they ever thought possible. Follow up with her at home care techniques and a lighter color is within your reach.